What’s that? You thought Download Booster was the only feature that a U.S. carrier would remove from the brand new Samsung Galaxy S5? Silly, you. I’d imagine Download Booster is only the first of many. 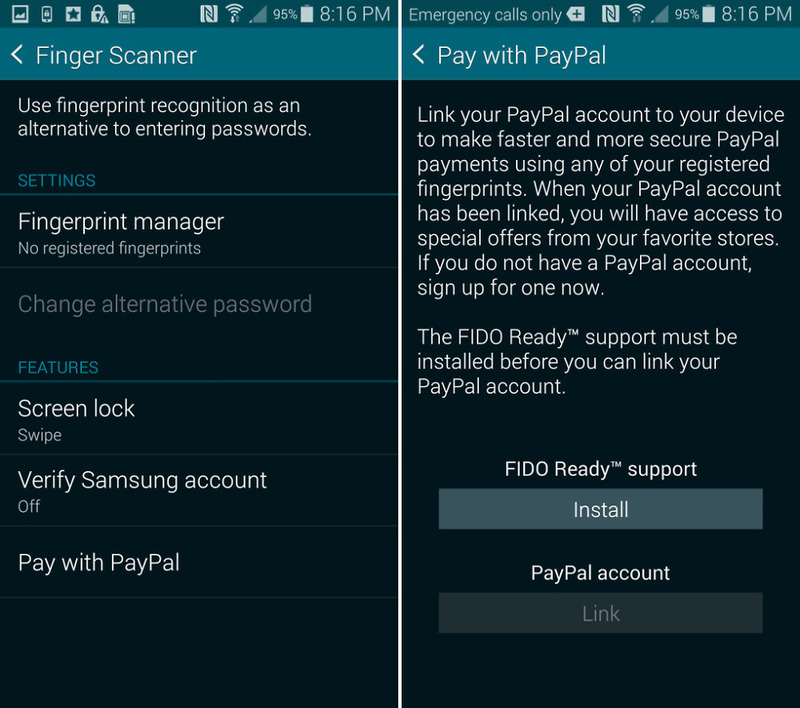 After spending only a few minutes with the Verizon variant of the GS5, we have already discovered that Big Red has pulled Paypal payments authorized with your fingerprint, another of the major features promoted by Samsung for their 2014 flagship. It was also announced this morning by Paypal. I noticed the missing feature, because in our video yesterday on how to setup the fingerprint scanner in the Galaxy S5 on the AT&T model, Paypal is listed as one of the features that can be used. On the Verizon model, that entire option is gone, along with any chance of getting it installed. 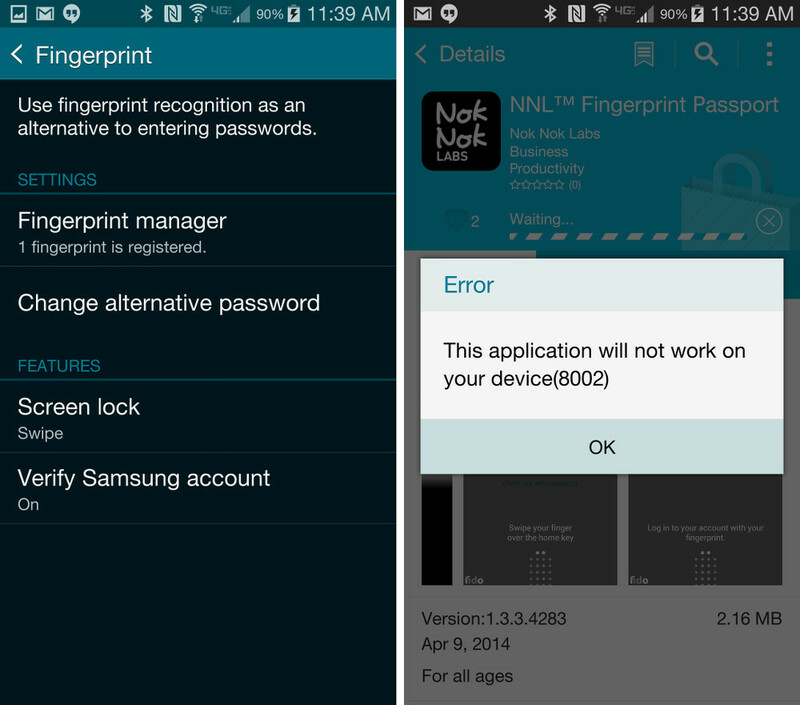 To get it up and running on the AT&T model, the phone requires that you download an app called NNL Fingerprint Passport, which is FIDO (Fast Identity Online Alliance) ready software that allows you to authorize your fingerprint for payments. Once that has been activated, you link the app to your Paypal account, so that you can then make payments with your finger. Again, this section of the Fingerprint settings menu is completely gone. I should point out that I tried to install the NNL Fingerprint Passport app on the Verizon variant through Samsung’s app store and was told that it “will not work on your device.” Somehow, installation is being blocked. Assuming I got it installed somehow, I’m not sure there would even be a way to link it to Paypal, though, so it’s probably a battle that’s not worth fighting. We will try to sideload some apps if we can, just to be sure. Thanks, Verizon, for killing that off. 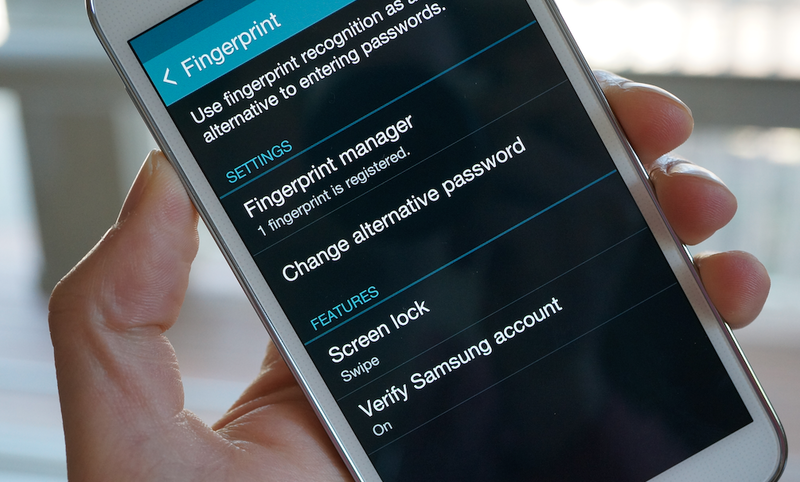 Now the fingerprint scanner is only good for unlocking the phone and accessing your Samsung account. 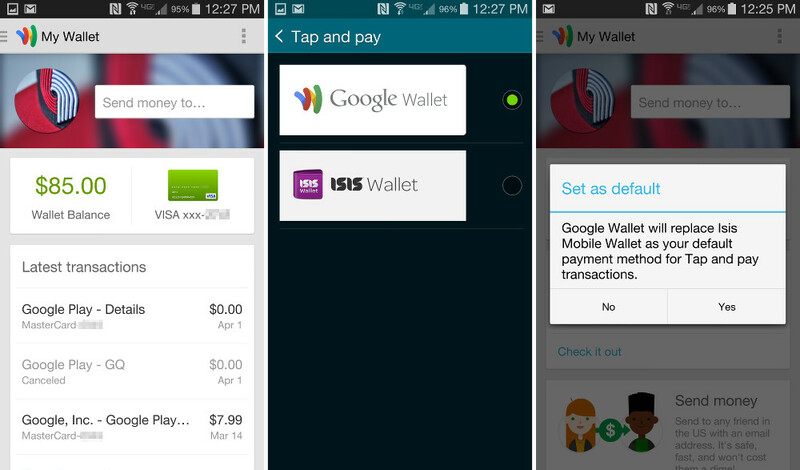 In semi-related payment news, Google Wallet installed just fine on the Verizon variant and can even be used with Tap & Pay. That’s not really that big of a surprise, since Kit Kat changed the way mobile secure payments work, but we figured some of you were worried knowing the backstory of the battle between carriers and Google Wallet. More Galaxy S5 info coming.